Iran’s supreme leader has pilloried Donald Trump with degrading epithets in his latest speech following the US President’s refusal to recertify the nuclear deal. Trump is, according to Ayatollah Ali Khamenei, “foul-mouthed”, uttering “nonsense,” and “suffering from retardation”. "The President of the United States displays nonsense; however, this should not lead us to ignore the mischief of the US regime," Khamenei told a group of students and academic elites on Wednesday, according to his website. I don't want to waste time on answering the rants and whoppers of the brute US president. It's a waste of time for anyone to answer him. The supreme leader claimed that the US President and his team were “suffering from retardation because they do not understand the developments in Iran and the region." 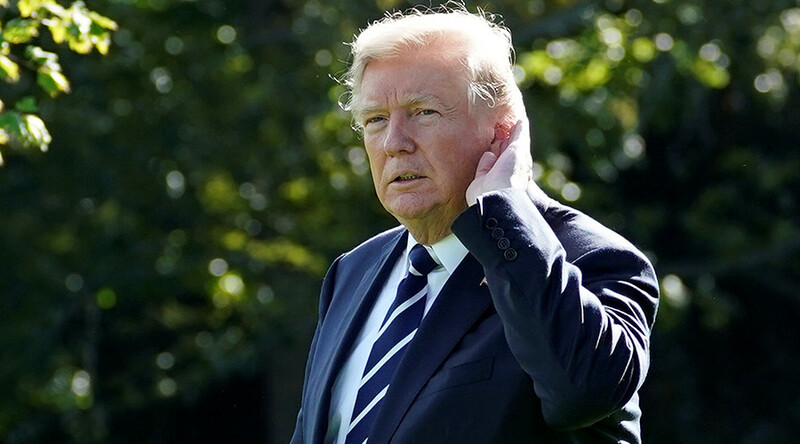 Last week, the US President proceeded with his disavowal of the Iran deal, also known as the Joint Comprehensive Plan of Action (JCPOA), and refused to recertify Tehran’s compliance with the agreement. Later, Trump added that there was “a very real possibility” that the deal would be terminated altogether. "We will not tear up the deal before the other party does: if they tear up JCPOA, we shred it," he cautioned. #JCPOA benefits Europe. We won't tear the JCPOA up, as long as the other side doesn't, but if they do, we will shred it. Trump referred the matter to American lawmakers, who have 60 days to decide whether to re-impose sanctions on Tehran, which were lifted in exchange for capping its nuclear program under the deal. "They want to take back young, faithful and developed Iran to 50 years ago,” Khamenei added, saying that this was not possible. “Due to backwardness, they are incapable of understanding this reality, and for this reason they have made a miscalculation and suffered, and will suffer successive defeats at the hands of the Iranian nation," the supreme leader continued, noting that Washington was “furious” at Iran for thwarting its “plots” in Syria, Lebanon and Iraq, according to Press TV. They're angry because today Islamic Republic of IRAN has managed to spoil their plots in Lebanon, Syria, Iraq and etc.